The words were attributed to the prominent science fiction author Ray Bradbury, but I haven’t been able to find a citation. Would you please help? Frank Herbert? 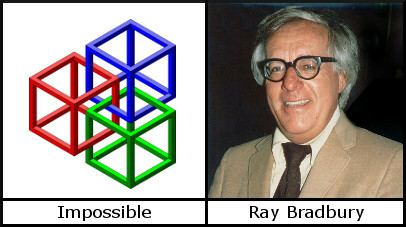 Ray Bradbury? Theodore Sturgeon? Fred Pohl? I don’t try to predict the future. I try to prevent it. I think this answer confused the interviewer, but I understood it. The dystopian stories like Brave New World, 1984, Fahrenheit 451, The Sheep Look Up, and The Machine Stops are not attempting to predict the future. They are trying to prevent the futures that they describe. The identity of the interviewee is fuzzy in my mind and so is the exact wording. Could you look into this quote? 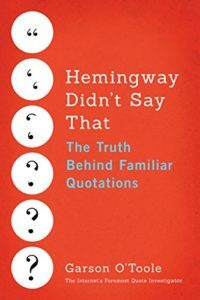 Quote Investigator: The earliest expression found by QI appears in 1977 from the typewriter of the SF great Theodore Sturgeon who credits the remark to another SF luminary Ray Bradbury, the author of Fahrenheit 451 and the Martian Chronicles. In 1978 the idea is attributed to another famed SF writer, Frank Herbert, the author of Dune. These initial citations indicate that the original statement occurred still earlier and QI is unable to determine if Bradbury or Herbert first voiced the motto. The statement has several variations. Sometimes the goal of preventing the future is considered to be the task of science fiction as a genre, and sometimes the goal is the task of an individual author.